It was a perfect place to disappear, or so Grace hoped when she ran deep into the sugarcane fields in the plantation near her home. Within the field, the canes arched high overhead, blocking out everything but bits of sky. For days she hid in the thicket of sugarcanes, running whenever voices came near. She was hiding from her grandparents. Grace had been under their care since birth. 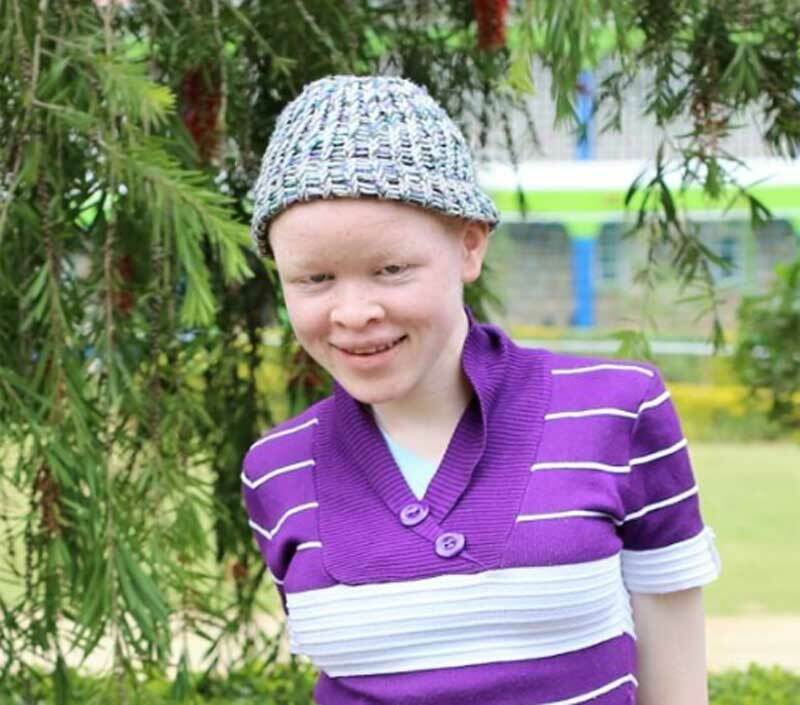 Her mother, a servant who had become pregnant with a “shamba boy” working for the same family, had abandoned Grace because she was born with albinism, considered a bad omen in many traditional, east African cultures. Grace’s grandparents were also ashamed of her, and hid her in the sheep’s pen. One day, Grace overheard them talking about selling her to Tanzania, where her body parts would be used for witchcraft. That’s when Grace knew she had to escape. Many days passed before Grace was discovered by a crew of sugarcane cutters. Unable to run any further, she was malnourished and covered with festering cuts. They brought her to the owner of the farm, who had a kind heart. She took her in and gave her medication, but she lacked a steady income and couldn’t provide for Grace permanently. So, she turned to Horizon for help. Today, Grace is a thriving teenager in the Baba Nyumbani Micro Community. She likes playing net ball (basketball) and eating chapatti with chicken. She is a disciplined student in the ninth grade. She is naturally shy, but her days of hiding her face are far behind her: Grace has ambitions of becoming a newscaster or a magistrate.